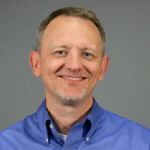 Richard Jones is Executive Editor for Meister Media Worldwide's U.S. Horticulture Group, including American Vegetable Grower, American Fruit Grower, Western Fruit Grower, Florida Grower, Greenhouse Grower, and Greenhouse Grower TECHNOLOGY magazines. Answers to your most pressing fruit pest problems is a primary focus of unique industry event’s program. New 85,000-square-foot Biorational Research Center includes 20,000 square feet of greenhouse space. The definition of these products may be a little confusing, but the potential benefits to your crop are worth exploring. Increasingly, the general public — and the retailers that serve them — expect food to be produced more sustainability. Biological control is a good option for growers looking to fill that demand. Consider using these advancements to improve the delivery of your biological control investments. Biostimulants: How Can I Make Them Work for My Farm? We talk with Agrinos’ Terry Stone to help you get a better handle on this new category of products and what they can add to the yield and quality of your crop. So What Exactly Are Biostimulants, Anyway? Biostimulants are one of the hottest new topics in specialty crops, but most growers could use a little clarity on where they fit. Here are the basics you need to know. For 110 years, American Vegetable Grower® has been right here alongside to help you and your family’s operation prosper. The fresh new look of American Vegetable Grower is just one very visible example of how we’re changing to stay up-to-date and make the best use of all of the tools we have at our disposal to work with you. The new technology of fruit growing may not be what we expected. In fact, it’s likely more than we imagined.